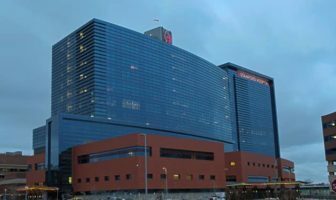 The state’s two largest hospital systems, Yale New Haven Health and Hartford HealthCare, accounted for almost half of the total facility fee revenue in 2016. Yale and its four hospitals billed $144.3 million; Hartford and its five hospitals, $80.9 million. Stamford Hospital charged $118.2 million, the most of a single hospital. Stamford Hospital charged $295.9 million in facility fees over two years. Patients have long complained about facility fees, which hospitals charge for outpatient services at facilities they own to cover operational expenses. Of the 1.4 million outpatient visits in 2016 facility fees were charged for everything from five-minute office visits to diagnostic tests such as MRIs and mammograms. Connecticut, which had earned an F from health advocates for its lack of transparency in medical costs, passed a law in 2015 requiring hospitals to notify patients if they will be charged a facility fee. Hospitals must clearly identify facility fees in bills, notify patients if they acquire a physicians’ group and file an annual report with OCHA on how much they earn in fees. Patient advocates say that the law has made consumers more aware of the fees, but it is often confusing for patients who get a second bill for hundreds or sometimes thousands of dollars for care. The fees are paid by consumers, their private insurance, Medicaid or Medicare. Doolittle says his staff is currently working a few cases where patients were charged large facility fees, including a woman who received outpatient surgical care and expected to pay a $50 co-pay and was hit with a $930 facility fee. West Hartford resident Leslie Silverman said she took her 15-year-old daughter to their doctor’s office to get blood drawn for a tendon in her ankle that wouldn’t heal in 2014. The doctor’s office had difficulty drawing blood and sent her to the West Hartford Surgical Center, which is owned by Hartford Hospital. “We had no idea we were going to get walloped with a $1,200 facility fee, it cost four times as much as we thought,” said Silverman, who added that because it was part of an experimental procedure not covered by insurance, they paid the fee out-of-pocket. Patient advocates say the public filings are a step in the right direction, but there’s a long way to go. 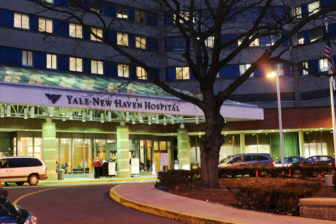 Yale New Haven Hospital charged $103.1 million in facility fees in 2016. Some hospitals will feel the impact of this change. In 2016, Yale New Haven earned $9.9 million for five-minute outpatient visits—its highest facility fee charged—which is now banned. There are signs that hospitals got the message, too. A spokesman for Hartford HealthCare said that as they’ve grown they’ve tried to employ physicians at outpatient facilities through the Hartford HealthCare Medical Group rather than through one of their hospitals so their patients won’t be hit with extra fees. Eight hospitals did not charge facility fees for outpatient services in 2015 or 2016, either because they did not have outpatient facilities or because they chose not to. They include, Bristol Hospital, Day Kimball Healthcare, Gaylord Hospital, Griffin Hospital, Hebrew Hospital, Natchaug Hospital, Sharon Hospital and Silver Hill Hospital. “I’m not sure that it was the right choice,” Barwis added. “If they are on a high deductible plan, it’s pretty significant for them,” he said. The interactive graphic designed by Charles Smart. You can listen to WNPR’s report on this story here.